Having been away on holiday and looking forward to some actual UK sunshine next week, I wanted to show you some of the pieces I’ve been wearing from Next recently. And it’s not just me, the girls have been enjoying some of their fashions too. I am a NEXT fan. I love their Home pieces, but their fashion really works for me, and I like it for the girls too. On our recent holiday, which will be covered in a lot more detail on my brand new travel blog – We Blog Travel, coming soon, we got to try a few pieces out. Both girls had protective sun suits from NEXT this season and absolutely loved them. Miss E, who declines to be featured on the blog now, had a 3-piece with jacket and sporty bikini, and Miss R, above, had the perfectly tropical two piece. It kept her beautifully cool and sun-safe, whilst attracting all the tropical fish! 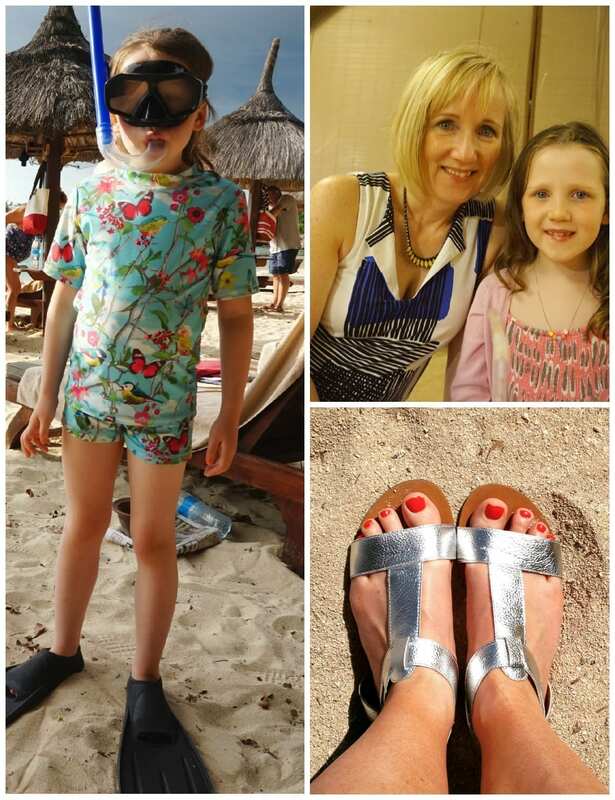 My cool, loose top was great with smart trousers (and ideal for work too) whilst the silver sandals have been worn extensively, both on holiday and in this country. Can’t believe they cost only £22. 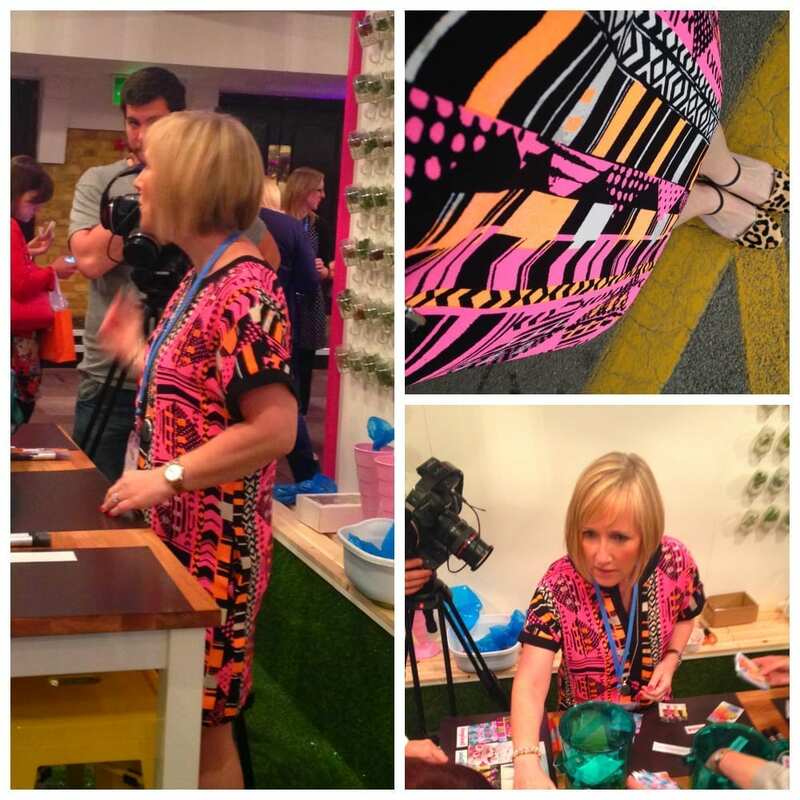 I also wore a very striking bright print Tribal dress for working at Britmums Live. It was perfect for the filming and for being on the stand, I certainly wasn’t going to go unnoticed. I also took this dress on holiday (although failed to catch a picture of me wearing it!) and it’s just the perfect versatile piece. It’s loose enough to cover any bumps, but flattering in length and neckline. Several people asked where it was from and someone even told me they were going out to treat themselves to it too. It retails for £40 currently and you can find out more about it here. Clothes are in important part of what I do now, particularly when working with brands or filming, and NEXT very kindly sent me a few of the items I’ve featured here. I wouldn’t show them to you unless I truly loved them. And some of them I bought anyway. I’m quite short and the petite range has always worked well for me, although I do sometimes struggle with some of the sizing, I usually find quite a few things that fit well. And don’t forget the sale will start very soon I’m sure. Happy shopping!